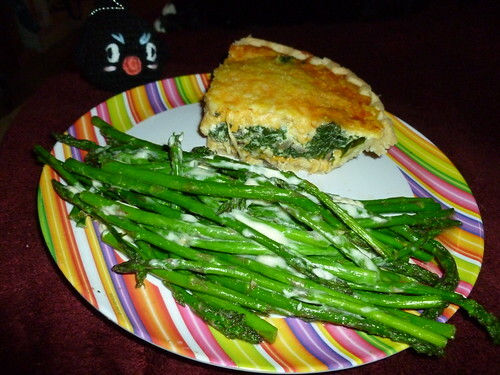 Tonight’s Dinner: Spinach Mushroom and Cheese Quiche with braised Asparagus. he’s all…nom nom nom. he’s going on my backpack w/ bunneh. It gets better all the time! I love the scary cat — your cat’s doppleganger? A carbatarian! I like most veggies, but I have somehow substituted my meat calories for potato chip calories. You know, I have a special love for Funyuns and Cheetoes. It all looks delish! Have fun in SFO!